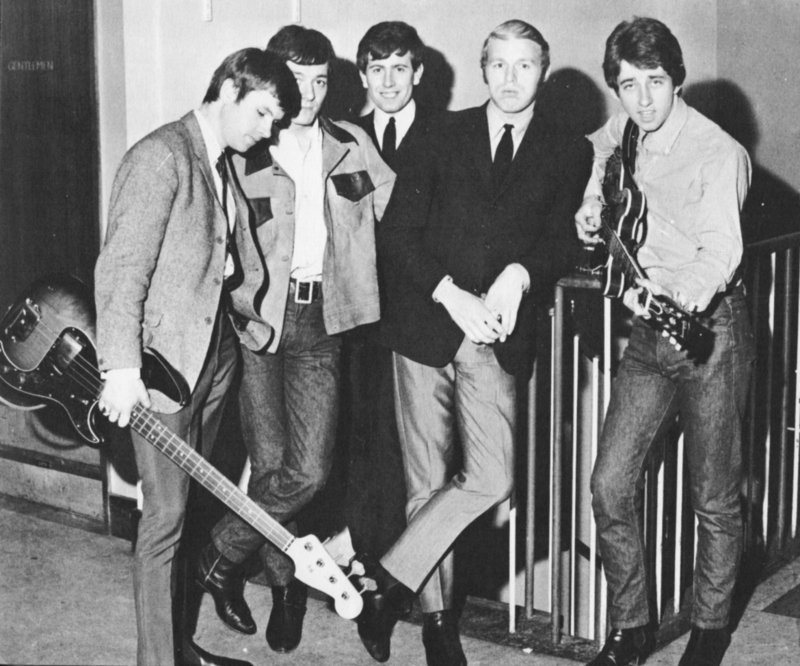 It is quite typical of The Hollies that about the time they opened their own boutique to sell Mod clothes they themselves should have decided to alter their stage image and perform in casual clothes, rather that the rather smart, sober and conservative style of uniform dress they had previously effected. Ever since The Hollies first came on to the scene hotfoot after The Beatles and all out to prove that Manchester could produce as good as Liverpool any day, The Hollies have been known for their style in clothes. Not for them the way-out haircuts, the scruffy jeans and sloppy Joe T-shirts. Even now they have gone casual, their casual wear wouldn’t disgrace a page in The Tailor & Cutter or Esquire. 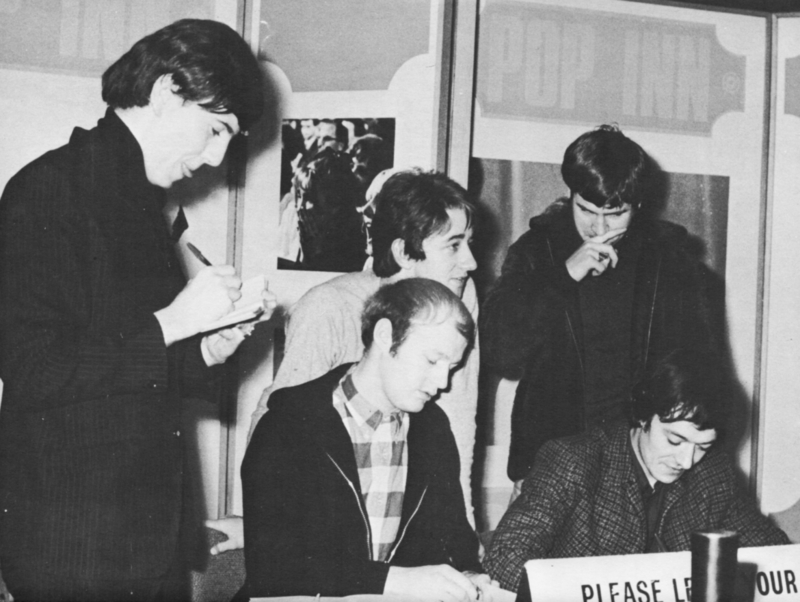 If The Hollies have had a reputation for their clothes, their success as a group certainly hasn’t been built on that alone. I doubt even if it has had much to do with it. For The Hollies have equally always had one of the best group sounds in the business. Their music has always had polish, originality and an essential heart. Take this in conjunction with the fact that the five Hollies are five of the most likeable people in show-business and you have an unbeatable combination. A bunch of amateurs maybe, but professionalism is more than just being able to read music and play your instrument fairly well. Professionalism covers all sorts of other things, like always being in the right place at the right time, always being properly rehearsed before you get on stage, always knowing what you are going to do, being able to feel the audience reaction and adjust your act accordingly — all these things and many more make up professionalism, and The Hollies have it in full measure even if they do tell you that they just play to please themselves. The Hollies have had all the hit-parade honours they have ever wanted, and are still getting them. They themselves, however, are always trying to broaden their scope. They have done very well in Europe, but they want to do better. They have never been very big in the States and they are determined to make their mark there also. They have tried their hand at cabaret and made a success of it. They want to try films, they want to try all sorts of new things, new sounds, new instruments, new song structures. They are always seeking for something just that little bit better. All The Hollies play their instruments well and they never cease trying to improve their standard. Drummer Bobby Elliott is acknowledged by the profession itself to be one of the best drummers on the scene today, and if he ever wanted to leave The Hollies he could be certain of a place in any group, combo, orchestra or band he wanted. MORE: Can The Beatles find the answer? 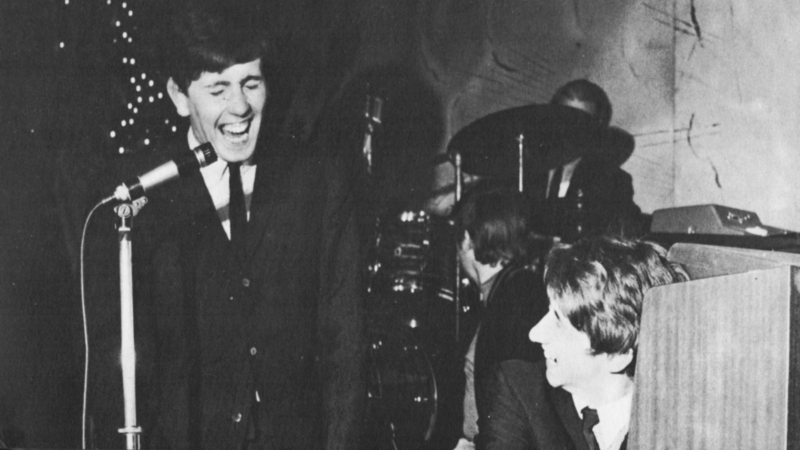 The Hollies are determined to always remain just that little bit ahead of the rest and in this writer’s opinion it’s all of a pot of gold to a bent pin that they will succeed in doing just that in 1967, as they have done in 1966 and 1965.